I’m not American, but this particular song means alot to me as a Canadian living in the “Great White North”. This is one of the songs we also grew up with. So today I’m posting a song called “White Christmas”, made famous by the most famous crooner himself, Bing Crosby. Honestly, I could dedicate an entire posting just to Crosby songs but there is already a website for that: http://www.bingcrosby.com. “White Christmas” is an Irving Berlin song reminiscing about an old-fashioned Christmas setting. The version sung by Bing Crosby is the best-selling single of all time, according to Decca Records. The first public performance of the song was by Bing Crosby, on his NBC radio show The Kraft Music Hall on Christmas Day, 1941. He later recorded the song on May 29, 1942. For me, the interesting part is that it was released on July 30 as part of an album of six 78-rpm discs from the film Holiday Inn – my favourite Christmas movie! The song initially performed poorly and was overshadowed by Holiday Inn’s first hit song: “Be Careful, It’s My Heart”. By the end of October 1942, “White Christmas” topped the charts. It remained there until well into the New Year. The mix of melancholy — “just like the ones I used to know” — with comforting images of home — “where the treetops glisten” — resonated especially strongly with listeners during World War II. The Armed Forces Network was flooded with requests for the song. The recording is noted for Crosby’s whistling during the instrumental. Following its prominence in the musical Holiday Inn, the composition won the Academy Award for Best Original Song in 1942. 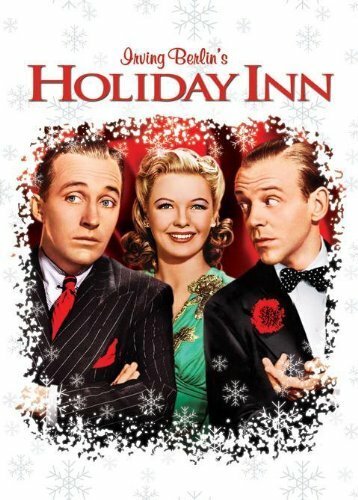 In the film, Bing Crosby sings “White Christmas” as a duet with actress Marjorie Reynolds, though her voice was dubbed by Martha Mears. “White Christmas” was later featured in another Crosby film — the 1954 musical White Christmas — becoming the highest-grossing film of 1954. I am working on putting all of my favourite Christmas songs into one song book, and I am trying to have it ready by Monday or Tuesday. For now, please enjoy this classic Christmas tune, which I arranged for soprano uke. Previous Article Let It Snow! !